Momotaro has everything you could ever want in a Japanese restaurant, a sushi bar, robata station, izakaya and an extensive sake, wine and drink menu. Great attention is paid the interior design bringing Western influences from the mid-century and combing it with traditional Japanese. You can see this reflected in the furniture, fonts used for the wood-paneled drink board to the menus and inter-departmental mail envelope used to deliver the bill. Service is excellent and friendly. 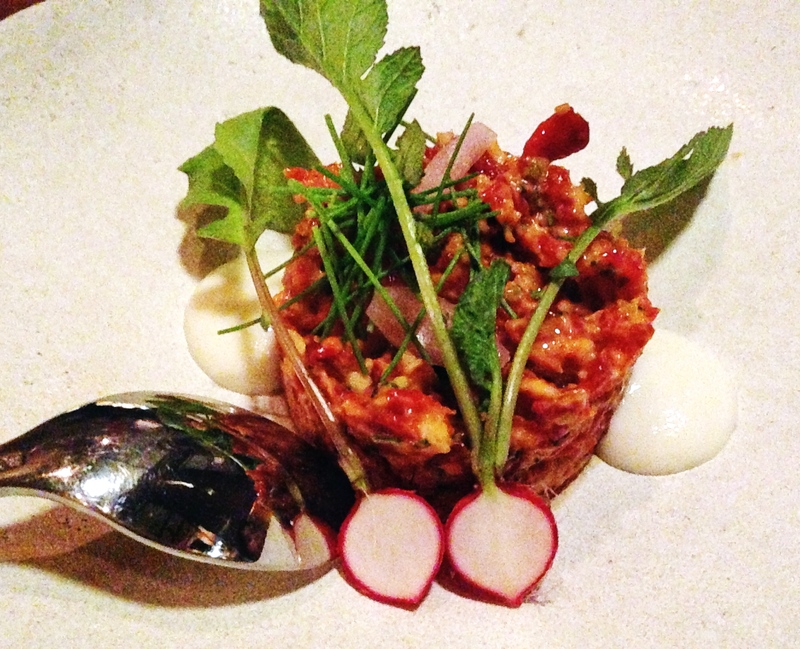 The standout was the momotaro tartare made from Japanese sweet tomato, maui onion, shiso served with rice crisp crackers. It is unbelievably rich, don’t be surprised if you end up ordering more. 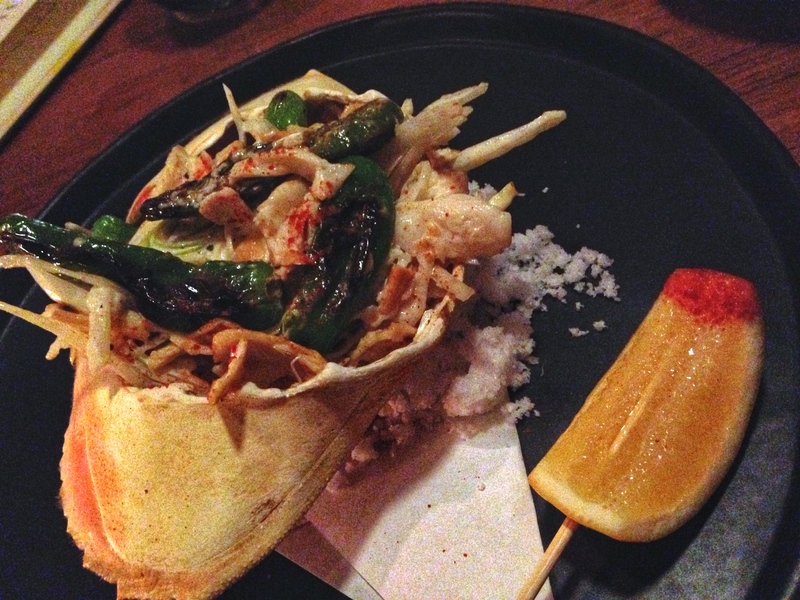 Another must order is the crab salad with shishito peppers served in the shell with sea salt and a lemon with chili powder. Okay, pretty much everything is a must order but as the menu is so big you’ll have the perfect excuse to come back to Momotaro again and again.